1994 was the year Chill Out became huge and this album was one of the best of that genre. 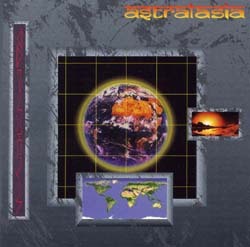 Unlike the last two albums this was mainly chill out anthems and became Astralasia's biggest selling album. Initial copies of the double vinyl release included a free limited edition 12" featuring two tracks - 'Gunga Din' & 'De-Construction (Nevada Mix)'. Initial copies of the CD included a free limited edition CD which featured versions of the incredible Swordfish composed and produced epic - A.N.D.E. Both of these limited editions are now very rare. The album included the track "Genesis - The Spark Of Life" which was included on a US compilation album and hence became the first Astralasia track to be directly licensed in the US - although their releases had been selling well there already on imports.